DETROIT – This weekend at Atlanta Motor Speedway, Chevrolet Racing will begin the brand’s fight against breast cancer as Chevrolet gears up to support the American Cancer Society’s Making Strides Against Breast Cancer initiative. October is National Breast Cancer Awareness Month. 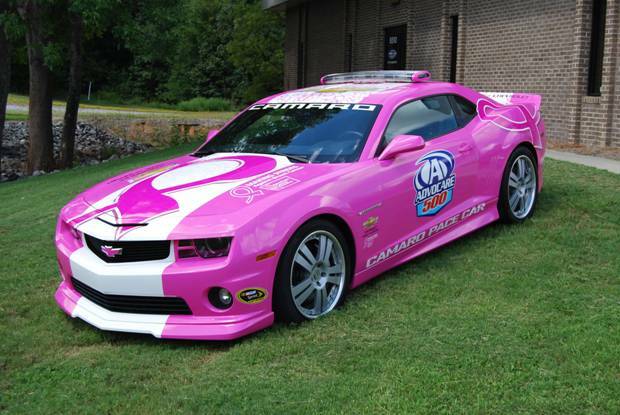 In September, Chevrolet will announce additional brand, dealer, employee and consumer activities in support of the American Cancer Society and Making Strikes Against Breast Cancer.